You might think we’re all hard-pressed to find any seasonal fruit right now, but you’d be wrong. Sure, we might be a long ways off from red-till-the-center strawberries and plump peaches, but next time you go shop for produce, look closely. You’ll come across stalls filled with ruby red grapefruit, blood oranges, kumquats and even funkier fruits like Buddha’s Hands, just waiting to be plucked, squeezed and peeled. Who says this is the dreariest time of year? Here are some drink recipes to make the most of winter citrus. 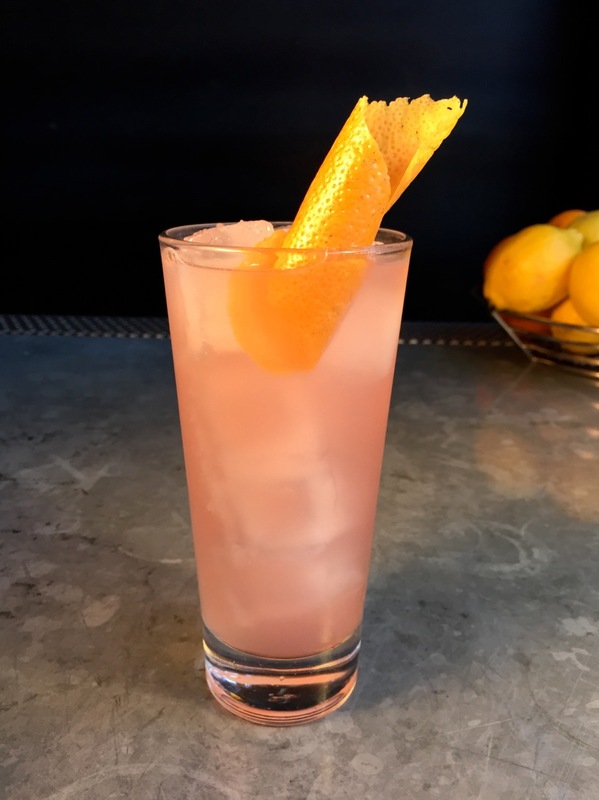 Owner Crystal Hinds first made this drink for her husband, who used to love grapefruit martinis when they grew the fruit at home and had been asking for one since the Crescent City bubbly bar opened. Staff had to wait until they were in season; now he sits at the bar sipping on one while she finishes up at the restaurant so he can walk her home. “There is absolutely no substitute for fresh ingredients, [and] it’s the least I could do—name a drink after him,” she says. Add all ingredients to a cocktail shaker, add ice and shake until well chilled. Strain into a chilled coupe or cocktail glass and garnish with the wedge of fresh grapefruit on the rim of the glass. Add the first 5 ingredients to a cocktail shaker, add ice and shake until well-chilled. Strain into a Collins glass over fresh ice, and garnish with an expressed grapefruit peel. The name of this drink refers to the genus classification of these olive-sized fruits that taste like a cross between an orange and a lemon and are meant to be consumed whole. “Kumquats add a beautifully subtle citrus note to cocktails, not as acidic or tart as lime juice, but with a little more complexity of flavor than lemon,” says beverage director Sean Keipper. It’s important to de-seed winter citrus and double-strain the juice though, lest you mask its beautiful flavor. Add the first three ingredients to a cocktail shaker, add ice and shake until well-chilled. Double strain into a rocks glass over crushed ice and garnish with the crushed pistachio. Combine ½ cup water, 30 kumquats, 2 tbsp. cinnamon, 1 tbsp. powdered ginger, 2 drops vanilla extract in a food processor and blender and blend until smooth. Store in the refrigerator for up to 3 days. Add 1 cup water, 1 cup sugar and the contents of 1 scraped vanilla bean to a small saucepan. Allow it to come to a boil, then simmer until the sugar dissolves. Remove the mixture from the heat, allow it to cool and refrigerate for up to a week. 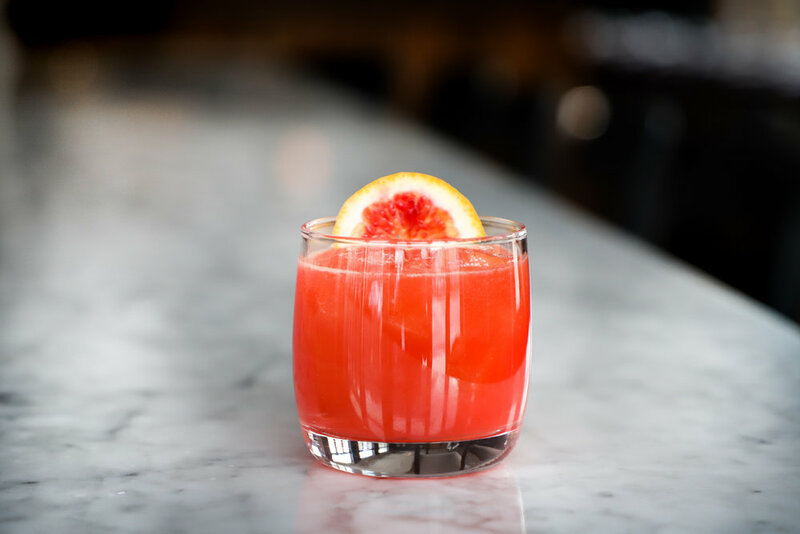 “Most winter citrus fruits are versatile and are also accessible (they can be found at your local grocery store), which makes them easy for the home bartender to use for a variety of different drinks,” says bartender Michael Cruz. Here, blood orange juice pairs nicely with Scotch while cardamom drives home the spice and lends a hint of lime. Reserve oil-rich and aromatic peels for a syrup or to use as a fragrant garnish, he suggests. Add all ingredients except garnish to a cocktail shaker, add ice and shake until well-chilled. Strain into a rocks glass over fresh ice and garnish with the blood orange wedge. Combine 1 cup water, 1 cup sugar, the peels of a blood orange (with as little pith as possible) and 5 cracked cardamom pods in a small saucepan. Bring to a boil, simmer until the sugar dissolves and remove from the heat. Steep for 10-15 minutes or until desired flavor is achieved. Strain out solids, and store the syrup in the refrigerator for up to a week. “The bright citrus notes drive the drink and round out the richness of the reposado tequila,” says bar manager Sean O’Brien. When it comes to using winter citrus fruits in libations, he has one piece of advice: “Keep it simple and let the citrus shine.” This sip mashes up the classic Paloma with a beer-tail; IPA hoppiness matches the bitterness of grapefruit juice and is offset by the sweeter grapefruit liqueur. Add the first four ingredients to a cocktail shaker, add ice and shake until well-chilled. Strain into a Collins glass over fresh ice, top with the IPA and garnish with the grapefruit peel.